Let's talk about prints! There is nothing like having your creative work come to life in the form of prints, a visually tangible and engaging representation of your work. Before we get to that final 'ah ha!' 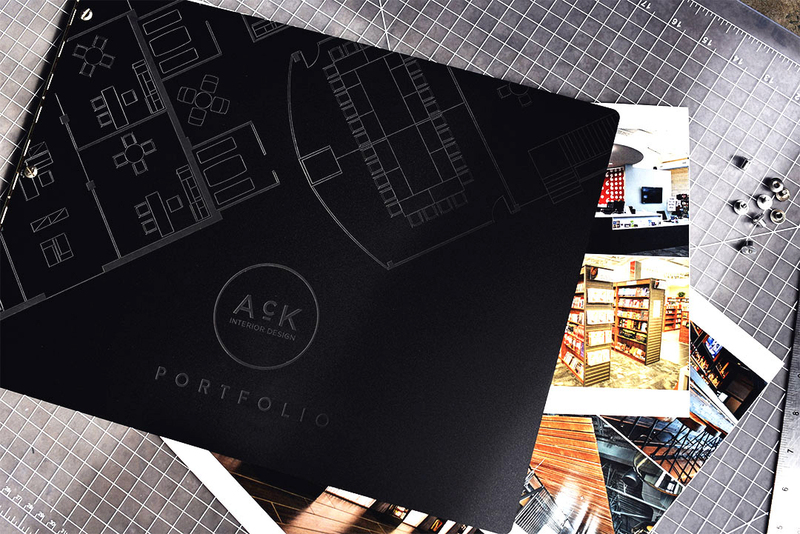 moment for our printed work, let's go over a few easy steps to ensure that your files are formatted correctly so that your prints perfectly compliment your Klo custom portfolio book. Bleeds are your best friend. 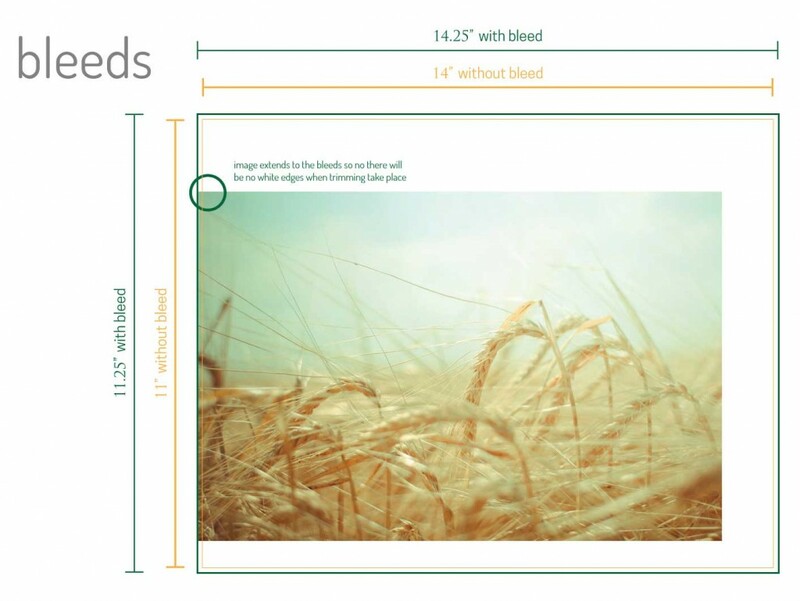 Bleeds essentially allow your artwork or design to run off your page ensuring that when your pages are trimmed, the artwork is right up to the edge without unplanned white margins or edges. 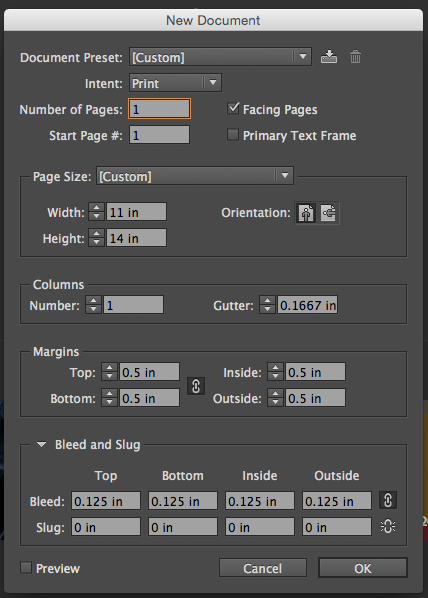 We recommend adding a 1/8th (o.125") bleed to all of your pages so that your work reaches the edge of the page. 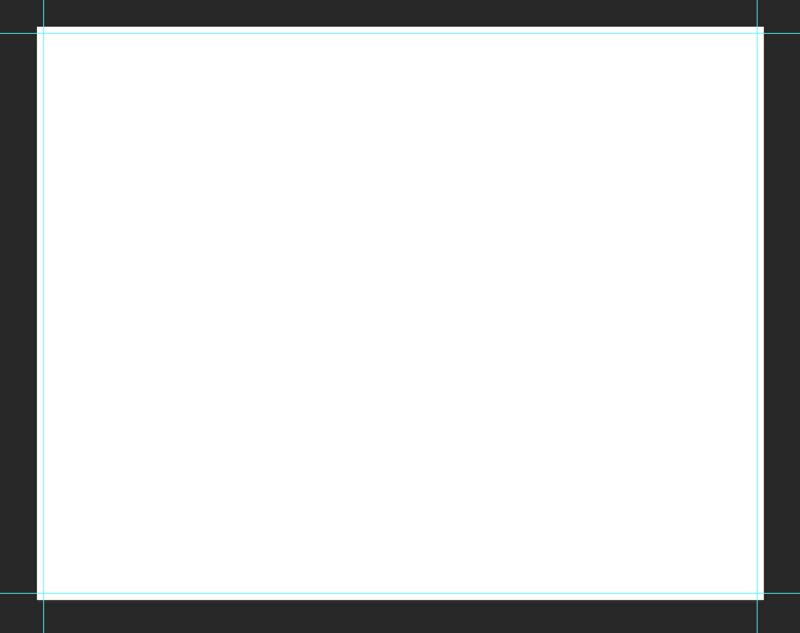 It's important to keep in mind that screwpost portfolios like ours are named after the page size they hold. 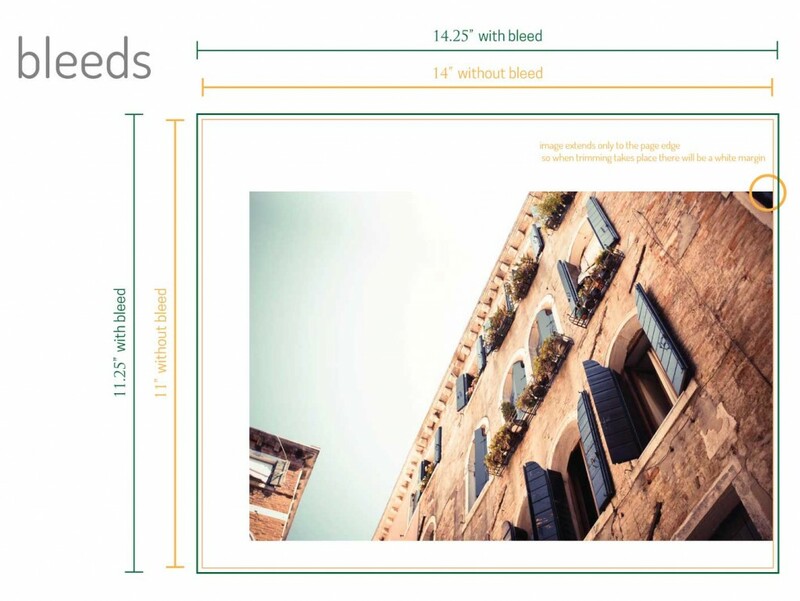 For example, if you decide to go with an 11 x 14 landscape custom portfolio book, the dimensions of your printed pages should be 11" height x 14" width (plus your bestie, a 1/8" bleed). 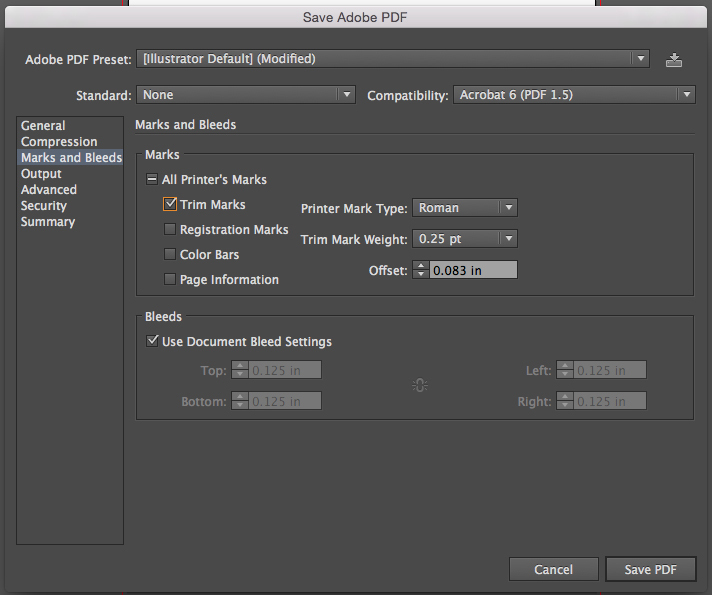 Whether you choose to have us print your pages to send along with your portfolio book or have another printer complete them, you'll be required to send your files for print as a single pdf plus a 1/8" bleed. 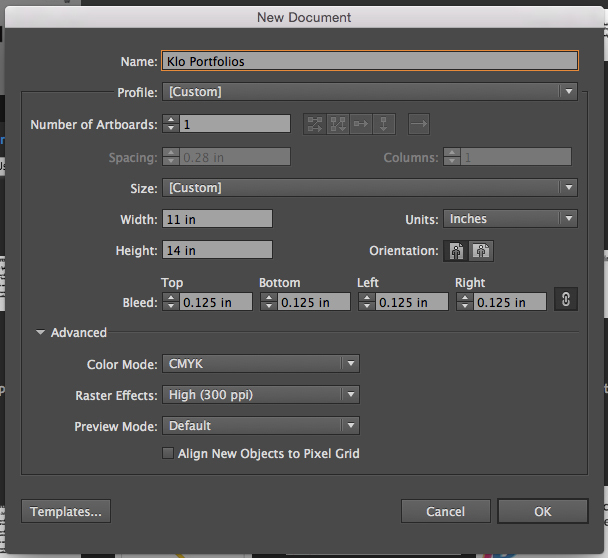 Let's get crackin' on how to easily complete this in Illustrator, Photoshop, or InDesign. 6. You can make sure the crop marks have been added by opening the PDF in Acrobat and if you see small ticks in the corners you are good to go! When placing images in your print files, make sure your images are 300 dpi for the best print quality, as we print exactly what you send us. You're almost there! Just a few more steps until your files for prints are ready to go. 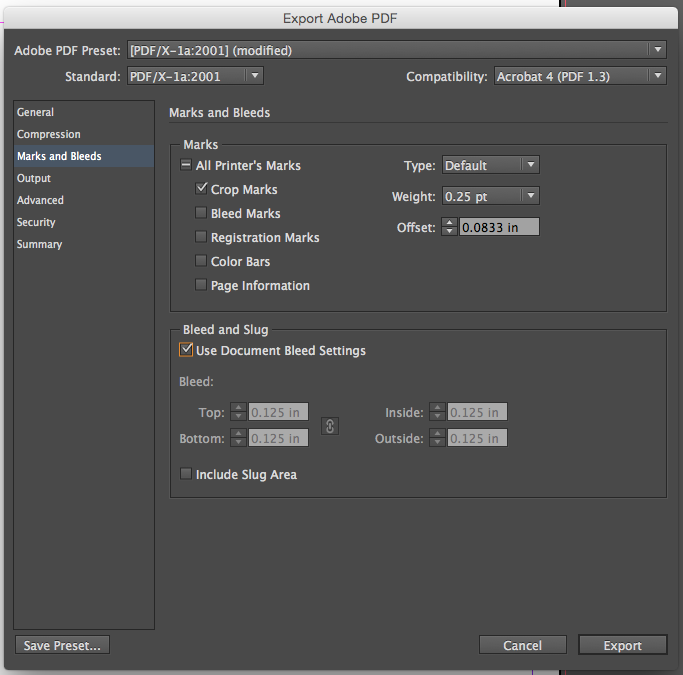 Once you have your individual pages assembled, its time to combine all your pages into a single PDF. 1. What type of paper finish you would like - matte or glossy? 2. What type of paper weight - 80 lb or 100 lb? 3. What type paper format - single or double sided? Yay! Ah-Ha! You have successfully completed setting up your prints! The last and final step will be to forward them via WeTransfer to prints[at]kloportfolios.com. We love WeTransfer since it allows you to easily send large files instantly for download by the receiver. You'll even get a notification once it's been downloaded. All screwpost portfolio books including ours require either hinge strips, sheet protectors, or having another printer score and hole punch your pages. 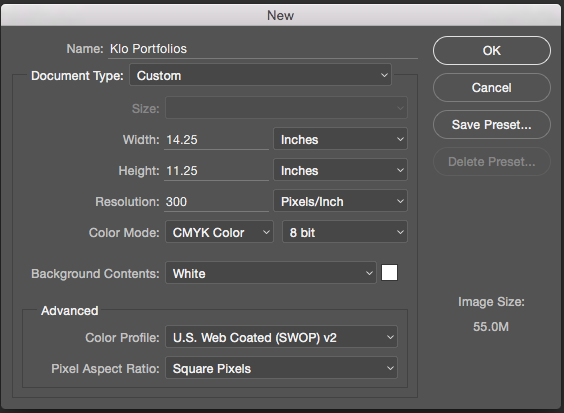 We've written another post about the different insertion methods of your pages in to your custom portfolio book. Have a few more questions about submitting your prints properly with bleeds? Contact us via email or phone and we'll get get them answered.